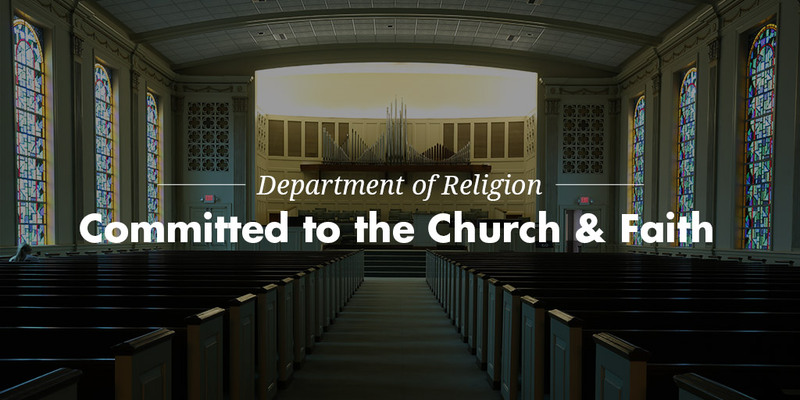 The Department of Religion is a community of faculty members, staff, and students who work together on issues of religious identity in our world, formation for ministry, and preparation for careers in higher education. We are a diverse community and yet one committed to faith and to the church. We hope you will find the information you seek about our community on this site. 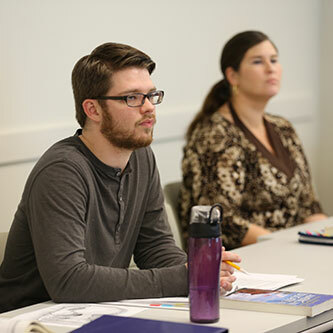 Our undergraduate program in religion invites students to inquire more deeply into the Christian faith, to gain an enhanced appreciation of the contributions of Christianity to the development of twenty-first century culture, and to prepare for life-long lay or career ministry. We offer courses of study in Biblical Studies, Historical Studies, Theological Studies, Practical Studies, and World Religions. 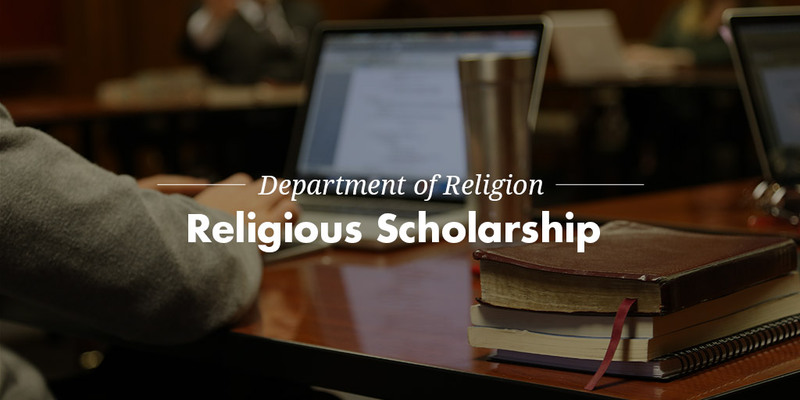 Our Religion Department provides the context for a flourishing Ph.D. program with concentrations offered in the Old Testament, New Testament, Historical and Theological Areas. 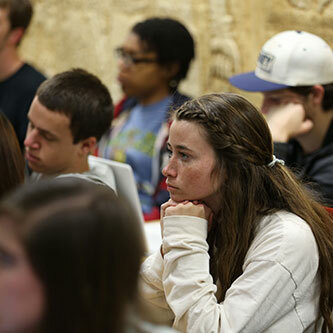 Faculty are committed to a strong research agenda, and that agenda is tied to the Baylor tradition of providing the very finest in classroom instruction. 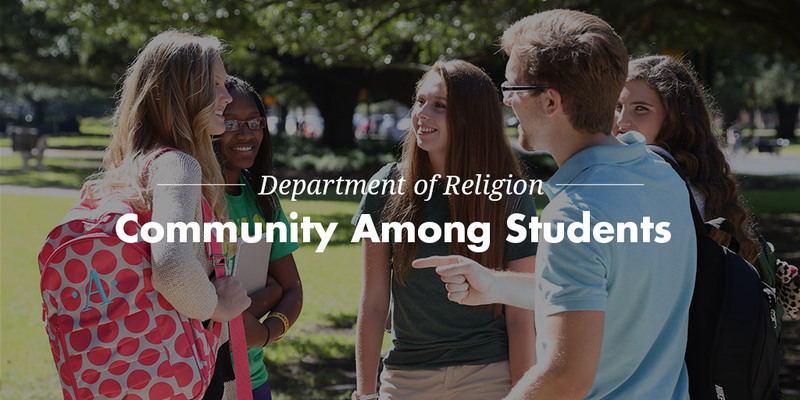 Baylor continues to move toward its goal of becoming a top tier university and the department along with the university remains friendly to faith and to church, thus providing a distinctive setting in American higher education. 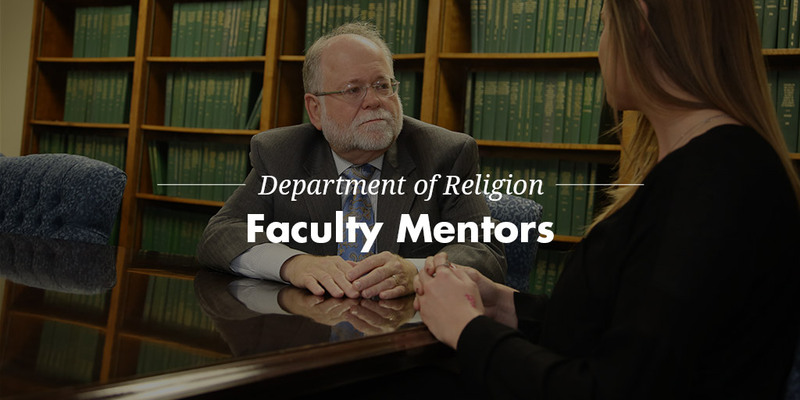 The faculty of the Department of Religion is made up of top scholars in the fields of biblical studies, church history, theology and ethics, world religions, and practical studies, and offer students an opportunity to join with them on a journey together towards truth and understanding. While committed to academic excellence, our faculty members also understand that helping to shape students’ whole their vocation as helping to shape students’ lives. 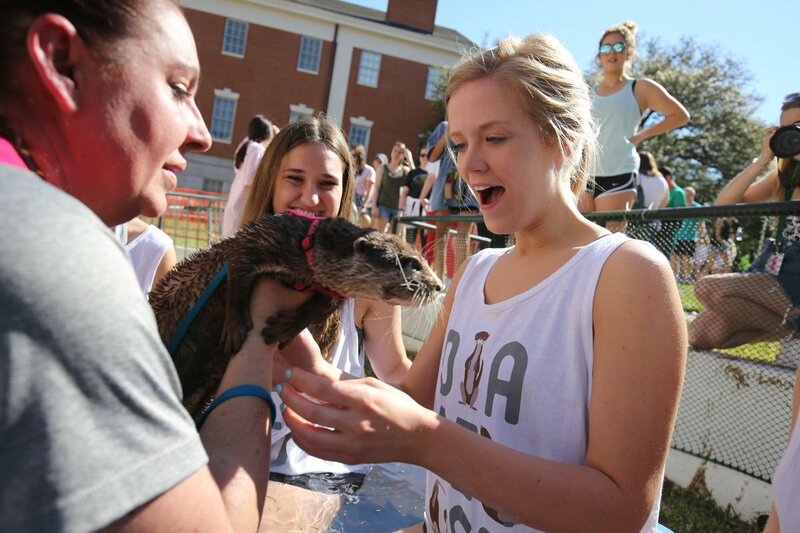 They strive to connect with students, and upper-level courses are intentionally kept small in order to help foster greater interaction between students and faculty. 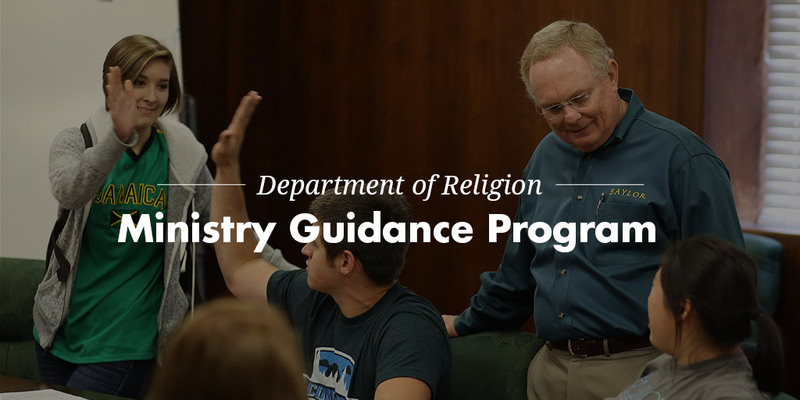 The Ministry Guidance program at Baylor University is designed to help students who are exploring careers in ministry - referred to as ministry students - to clarify and affirm their call to ministry and to introduce them to ministry as a vocation. 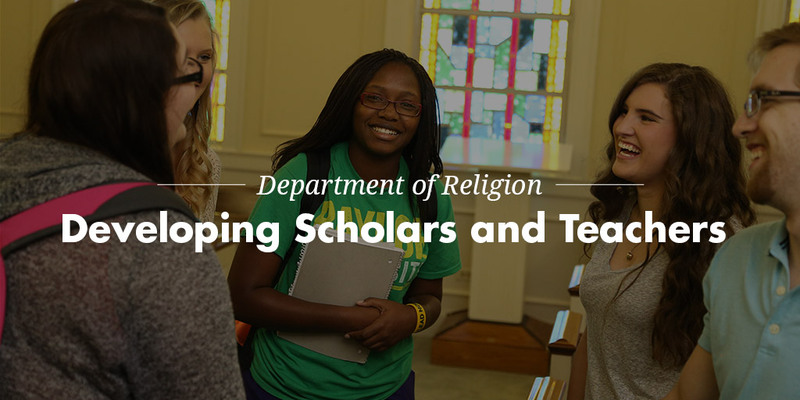 Coordinated through the Ministry Guidance office in the Department of Religion, the program seeks to assist students who feel called to vocational ministry, including preaching, missions, music, religious education, youth, recreation, as well as various other ministries. WACO, Texas (April 2, 2019) – Baylor University is mourning the passing of James E. Wood Jr., Ph.D., a world-renowned expert on religious liberty and church-state and inaugural director of Baylor University’s J.M. Dawson Center for Church-State Studies. Dr. Wood died March 24 at the age of 96. WACO, Texas (March 8, 2019) – Chief Judge Maurice Foley of the United States Tax Court in Washington, D.C., will present “His Glory, My Story” at the 2019 Dawson Wamble Spring Symposium on Tuesday, March 19. WACO, Texas (Feb. 28, 2019) — Long before there were therapists, there were biblical psalms — many of them praise to God and pleas for forgiveness. But there are more laments in the biblical book of Psalms than any other type of psalm, says a Baylor University scholar of the Old Testament. And they go a long way toward dealing with reality as opposed to the way we wish things were. Grades due for graduating seniors, 5 p.m.
RT @allisonmbrown: I am moving to Waco this summer to begin my PhD in Religion (historical studies) at @Baylor_DeptRel! I am so excited for this new adventure!